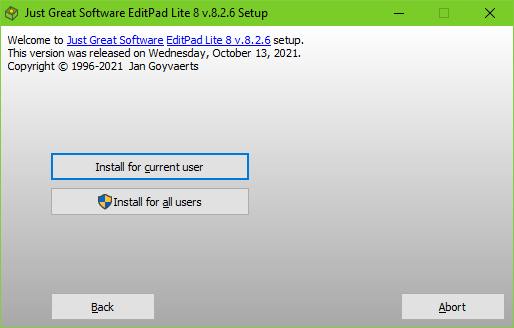 If the installer only allows one type of installation, then this screen is skipped. Clicking the Advanced Options button then immediately triggers the black screen security prompt if elevation is needed. Changing the installation folders then becomes the first step.